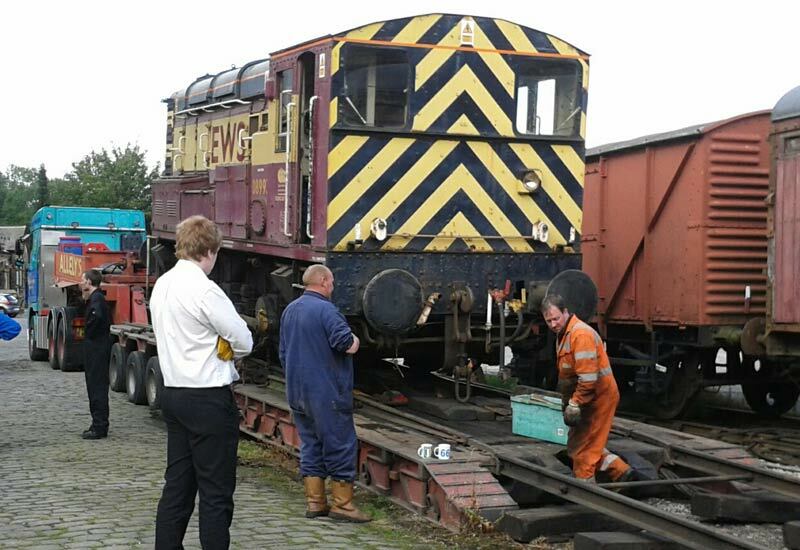 With the Railway’s current Class ’08’ shunter 08 266 (D3336) requiring extensive work, the Railway has purchased a second member of the class which was deemed surplus to requirements by the mainline operator. Numbered 08 993, the locomotive is different in many ways to 08 266 not least, as one can see from the illustrations, the lowered cab. For operating lines around Swansea from the old Burry Port and Gwendraeth Valley Railway, the cabs had to be lowered to fit beneath some very low bridges on the line, a tradition carried over from the days of steam. The locomotive is in better condition than the current resident and is also dual braked, a useful advantage for shunting any air braked only vehicles, such as the diesel crane or potential future acquisitions, such as new permanent way wagons etc. These photographs taken by Roger France and Paul Holroyd show the locomotive on arrival at Haworth by road, the first locomotive to arrive with us at this location for many years, due to Ingrow’s restricted access. 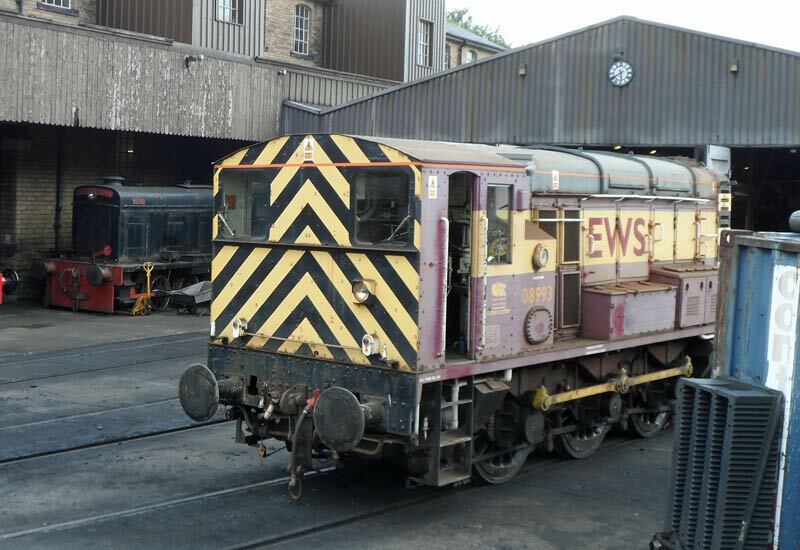 Currently in EWS livery, the locomotive will be repainted in due course in an appropriate colour scheme.